COMMENTS: Perfect shade of brown! I am looking forward to seeing what else I can use this in. The sample bag provided me with the perfect amount that I needed!! COMMENTS: You must dissolve this in oil before adding to your soap so it will blend in well. It's a nice chestnut brown which I use for a lot of mens products. Great with woodsy scents. COMMENTS: This powder is awesome to use. 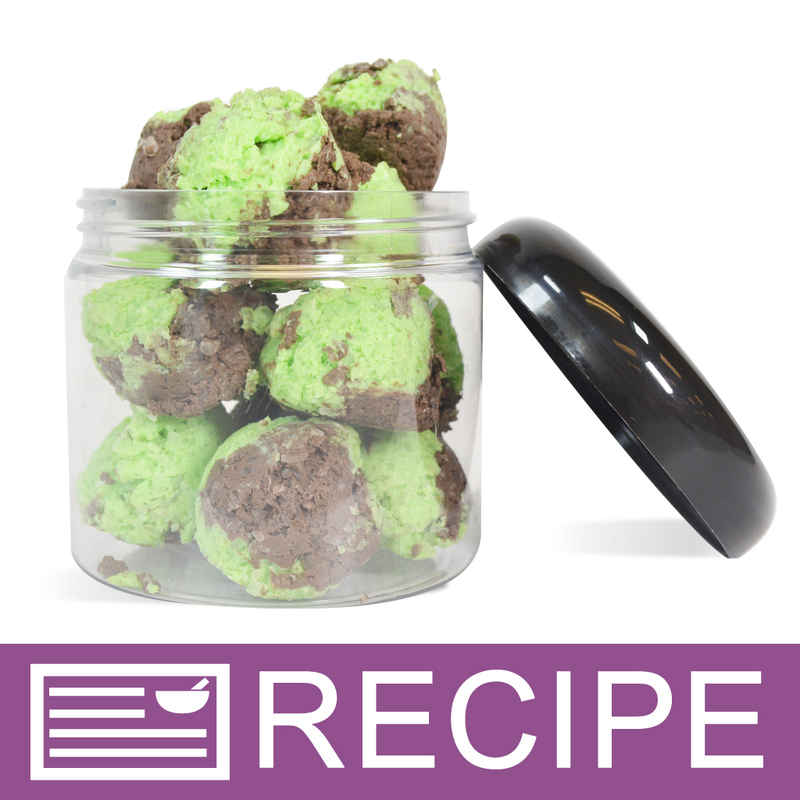 We mix with a little bit of oil before adding to the CP soap batter and it mixes well! 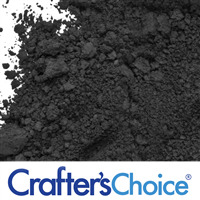 "Crafters Choice™ Matte Brown Oxide Pigment Powder "
COMMENTS: I like adding a little oxides to my mica colorants to enhance the colors when needed. "Wonderful color saturation in my soap! " COMMENTS: Perfect size, perfect price with wonderful results in my CP soap! I really enjoy having my pigments in a container instead of a baggie. WSP can't be beat with quality and pricing! I love having the option to use oxides that are matte, sometimes you just need the color without the shimmer. COMMENTS: It is about the color of milk chocolate. Good for earth tone swirls. 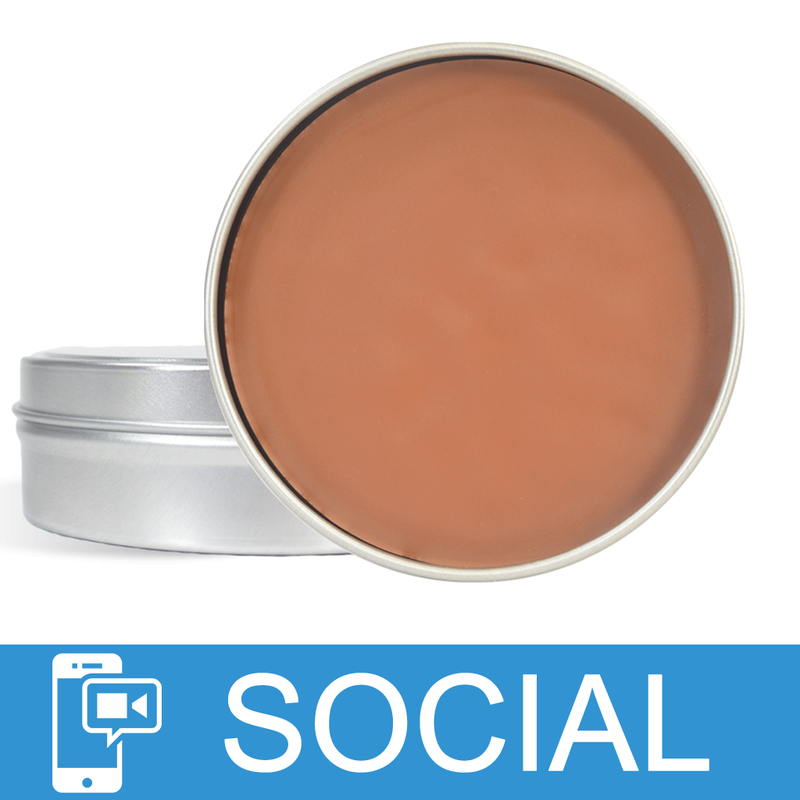 "Matte Brown Oxide Pigment Powder"
COMMENTS: Brown Oxide Pigment Powder produces a matte finish this is great in my butters. It didn't bleed love the color in my men's products. COMMENTS: I use this in my cp soap and it is a pretty color and mixed well. COMMENTS: Behaved well in cp soap. Used this for the pumpkin spice in my cp soap. Turned out lovely! COMMENTS: This produces a great brown color in my cp soap. "Crafters choice matte brown oxide powder"
COMMENTS: Good color in M&P. 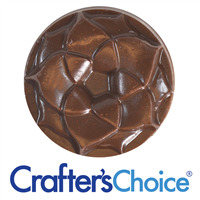 "Crafters Choice™ Matte Brown Oxide Pigment Powder"
COMMENTS: I use Matte Brown Oxide Pigment Powder along with Caribbean Chocolate FO and real dried peppermint leaves to make my chocolate mint MP loaf soap. I sprinkle a very little bit on top too as it resembles real cocoa. I also use Matte Brown Oxide Pigment Powder to add to my sugar cube scrubs. I cut my scrubs the same size as sugar cubes, then roll in sugar. I do have to label "DO NOT EAT", as they come out looking like light chocolate fudge pieces and smell good enough to eat. COMMENTS: A lot of pigment powder for the money! I don't recommend using for bathbombs because it will leave a ring if you use too much! COMMENTS: This is a very rich, beautiful brown for a range of shades from tan to chocolate brown. I've even used this to make a cream color. Mixes easily with glycerin. "Great in my CP Cupcakes"
"One of my fave colors "
COMMENTS: another great pigment from WSP so easy to use - one of my faves great in so many applications - makes a beautiful soap - will always want this one at hand no issues blending - if using glycerin - beware of glycerin rivers which make interesting patterns in soap. COMMENTS: I need brown for almost everything like coffe soap and chocolate and sandalwood...This brown has never failed me and I will be purchasing more shortly. "A Great Natural Brown Color"
COMMENTS: This is the perfect shade to go with the Urban Cowboy F.O. in my MP soaps. They looked divine when I got them packaged to christmas. COMMENTS: Doesn't mix well in RA for me and therefore speckles. That's just my experience. The color is very nice. "I love to use it on my coffee"
"Matte Brown Oxide Pigment "
COMMENTS: You cant really beat WSP's price and speed of shipping. This HOLDS a nice brown in my CP soap. even after about a month and a half. Havent tried this in anything that is multi colored so id how well it dosent bleed. So far its a great product at a great price point! COMMENTS: Perfect Chocolate brown color, as well as nice pencil lines. COMMENTS: Makes a perfect chocolate color. COMMENTS: Mixes well. Great rich brown color for any product. COMMENTS: Another great color from WSP. COMMENTS: Good quality product finally got to use. Is great. COMMENTS: Sadly, this didn't turn out to be the "broen" I was hoping for. This pigment is flat...I was hoping for a richer brown but I have been experiementing with mixing other pigments into it to achieve the effect I want. WSP Response: For a very deep brown we recommend blending with the black oxide. "Works Great in CP Soap"
COMMENTS: Just like another reviewer, I used this in my camo soap, and was very pleased. I mix the brown powder in a little of the oils from my recipe (usually olive oil) before mixing it into the soap batter. "Maybe I did it wrong?" 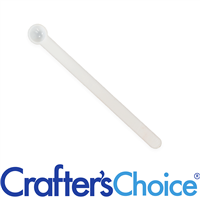 COMMENTS: The page for this product says it disperses in water, so that's how I did it. I don't think it really "dispersed" in the water. Next time I'll use oil to disperse my pigment into for sure. Since it didn't really disperse in my water, I only got a very light tan result in my CPOP soap. "Made a great brown for camo soap"
COMMENTS: I used this for a brown camo soap and it came out great! COMMENTS: This is a milk chocolate looking brown. My friend said my soap looked good enough to eat and she thought it was fudge when she first saw it ?? COMMENTS: I ordered this pigment powder to use in my fizzing bath spas as I prefer to use natural colorants. I was very pleased with the results, as I am with all of the oxides, micas and ultramarine powders I've purchased from WSP. I recently added this to a batch of oatmeal base MP soap scented with the Leather F/O and it did exactly as I hoped it would. With the light tan of the base and the darker flecks of powder it turned out "earthy" and "hearty" looking and was completely beautiful packaged. The end product in totality was a huge hit with both men and women. I will most definitely be ordering more. "one of my favorite oxides"
COMMENTS: Easy to use my cp soap turned out just as I imagined. 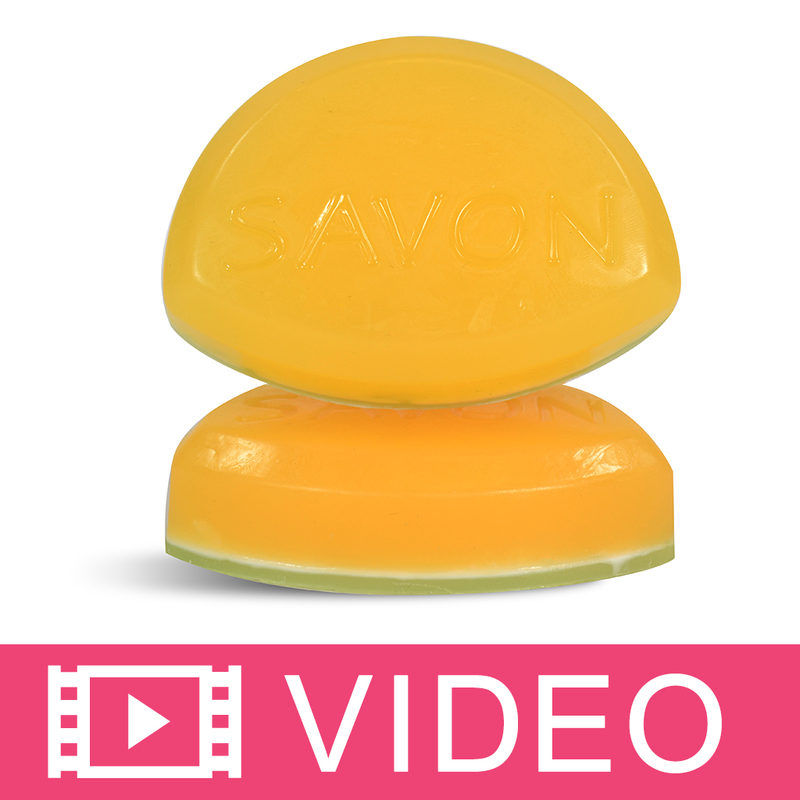 COMMENTS: A must have for soap making! COMMENTS: Used this in my bacon soap. Made a beautiful swirl. A little hard to mix with my oil, lots of little specks. But, eventually it all mixed in good. Glad I made the color before I even started my soaping. That made a big difference. It had time for the little specks to dissolve. COMMENTS: Great product with perfect results. Used in cp soap and color can out beautiful . COMMENTS: This powder was the perfect shade of brown. This made it so much easier to get that color. I like that it does not bleed which is great for using contrasting colors. I have used some of this in my lip glosses too....worked great. It only takes a small amount. COMMENTS: Color stays true in my soaps and is easy to use and mix in. COMMENTS: Very dark and spreads easily. Perfect. COMMENTS: I mixed this color with some FO to make a liquid color for my bath bombs and it worked out great! Real brown color. COMMENTS: I love the natural shades of brown this pigment makes. It takes a little more mixing than other pigments but its worth it. I love marbling this brown against white in my white tea and ginger melt and pours. COMMENTS: Very versatile, perfect for making eye shadows. Love the color and I love how easy it is to use. COMMENTS: Great color, held in CP soap! 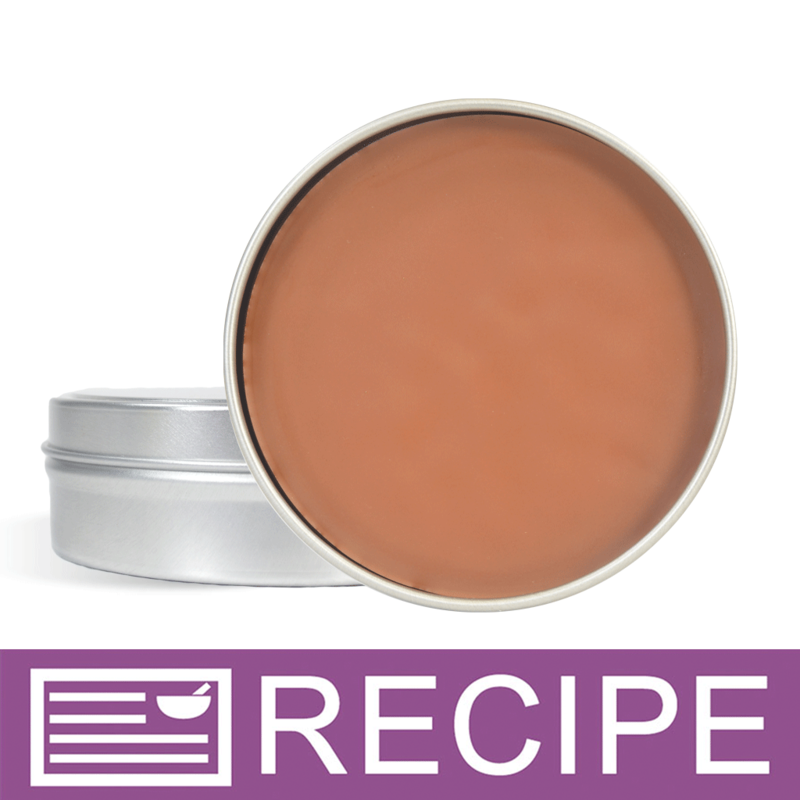 COMMENTS: this is the pigment i use to make my chocolate soap cupcakes, its the perfect color! COMMENTS: Great product. 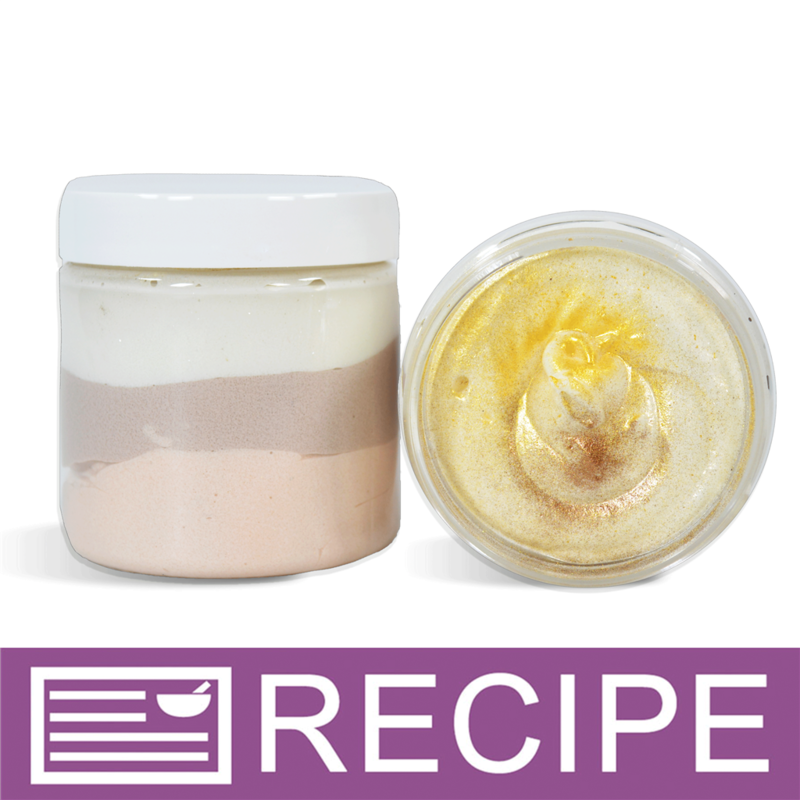 I purchased the Gingerbread body scrub kit and love it! COMMENTS: I just used this oxide today with my fall soap line and I really like the brown. In the past, I had used other pigments to make brown but this one is exactly what I wanted. It will be used consistently now. COMMENTS: I was amazed how little I needed to use to color a batch of soap with this. Added at a very light trace and blended well to rid of clumps. It came out very even and smooth. Made cedar wood soap and the color complimented it beautifully! COMMENTS: This turned out great mixed with the red oxide to make a beautiful coloring for the summer in my chapsticks! Will definitely use again! "Just need a little, does not stain"
COMMENTS: I used a very small amount of this oxide in my pumpkin soap, it turned the orange from the pumpkin to a real pumpkin pie color. As with all oxides, a little goes a long way, and if used correctly it will not color the lather or a wash cloth. This is a great color for working on fall soaps. COMMENTS: This powder is easily blended and produces a rich color. COMMENTS: I used this in my cold process soap and it behaved very nicely. Color stayed fairly true although it has a slightly reddish tint to it like in the picture. Still came out very nice. COMMENTS: This colorant provides a warm color which is very true to how it appears online. COMMENTS: Adds a nice color to lip balms and mineral makeup. I got this as a sample but look forward to purchasing more. Worked great. COMMENTS: nice brown color. Easy to mix! "Was more red than brown"
COMMENTS: blends well and doesn't leave clumps. COMMENTS: Got as my free gift. It worked perfectly to make chocolate Easter egg soaps. COMMENTS: When you need a brown colored soap, use this! It makes a lovely woodsy brown color and is easy to mix. I just blend with a tad of glycerin before adding to my melted bases. I really like it! COMMENTS: I've been able to use this brown at high concentrations for swirling and spot coloring in CP soap without problems with bleeding or turning suds dark in the shower. Highly recommend this brown! COMMENTS: I use this brown in mineral makeup for both eye shadow and foundation. It works very well in both products. It's an essential for many of my products. COMMENTS: I have used this brown in multiple batches and it always blends beautifully. Doesn't take much. A must-have in my supplies! 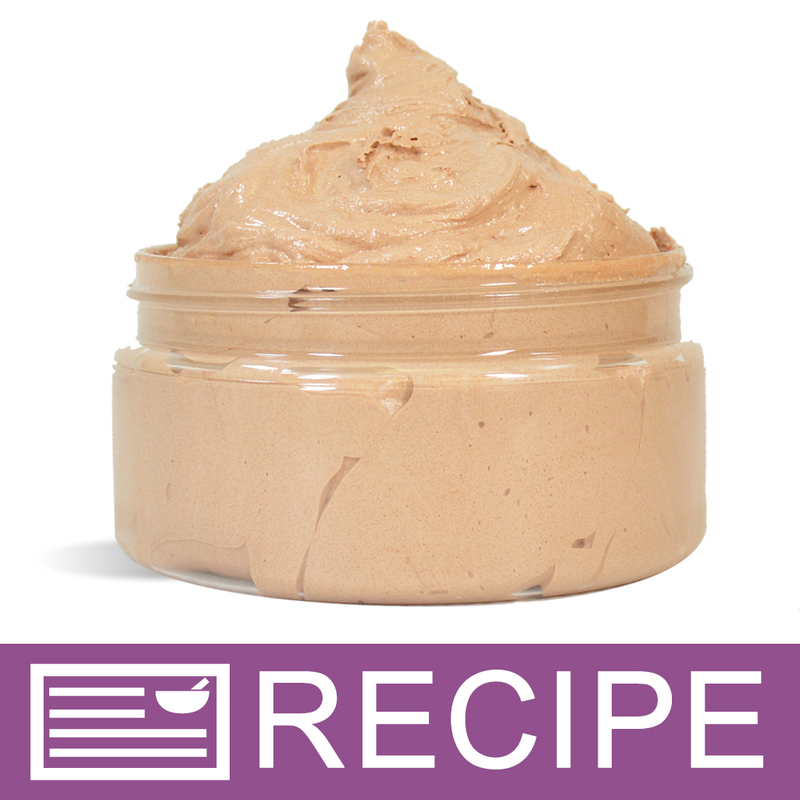 COMMENTS: I used this in an ultra white soap and it came out a really nice creamy brown. Mixed it in a little glycerin first and poured it in and whisked my soap. No speckling. 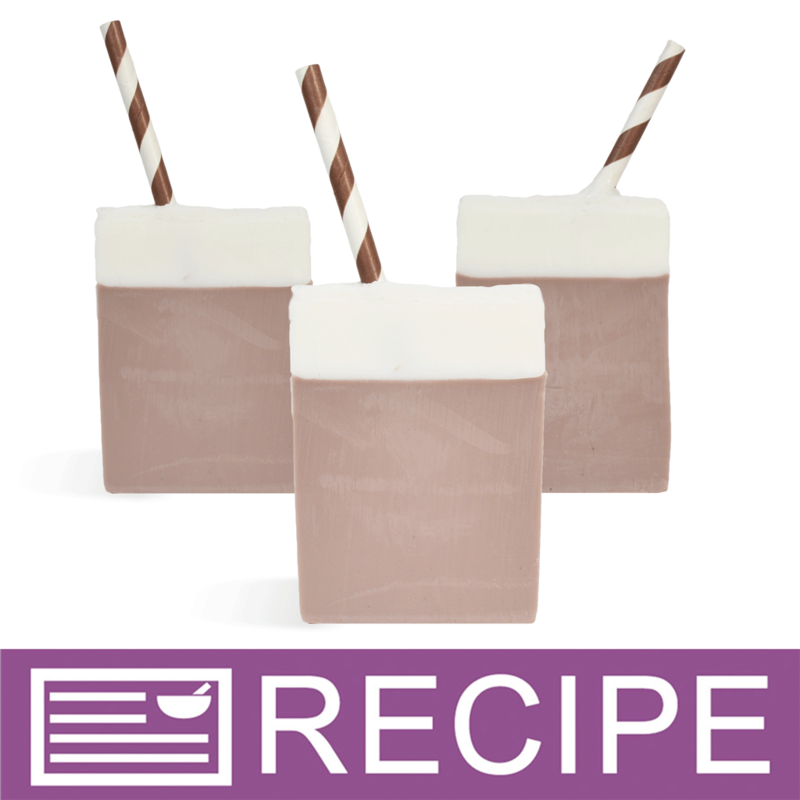 "My CP& CPOP Soap Looks Like Chocolate"
COMMENTS: I love the container this oxide came in. The container make dispensing the product very easy, versus dispensing the powder from a zip lock baggie. The oxide blended easily into a castor oil, benzoin oil and polysorbate 20 blend I made and incorporated into my CPOP soap recipe using this oxide. The soap looked like chocolate; no lumps of oxide was in the soap or anything. "First Time is a Charm!" COMMENTS: This is the first time I've used any powdered oxide pigment, and I really LOVE the earthy color of this tint. I didn't get any of the speckling that other reviewers have mentioned, but that may be because I mixed the pigment with a little rubbing alcohol before adding it to the melted base. I think in order to avoid the speckling that others have mentioned, it is necessary to only use the liquid portion of the mixed color to tint the soap, and leave the residue at the bottom of your mixing cup. WSP Response: Liquid glycerin also works great for blending the powdered pigments to use in MP Soap. Thanks for your review! COMMENTS: have used this in soaps and love it and now am about to try it in some colored lip gloss. "A Winner In My Book"
COMMENTS: Brown is one of those colors that is really hard to get a "true dark brown". This one does it! I have every mica and glitter than WSP sells. The sparkle ones are breath taking in the clear bases. So, I guess I can say I LOVE THIS! I finally broke down and bought the liquid glycerin (from WSP of course) and it make a world of difference. I had the problem of the micas not mixing well into the melted soap bases, but the glycerin in a life saver. 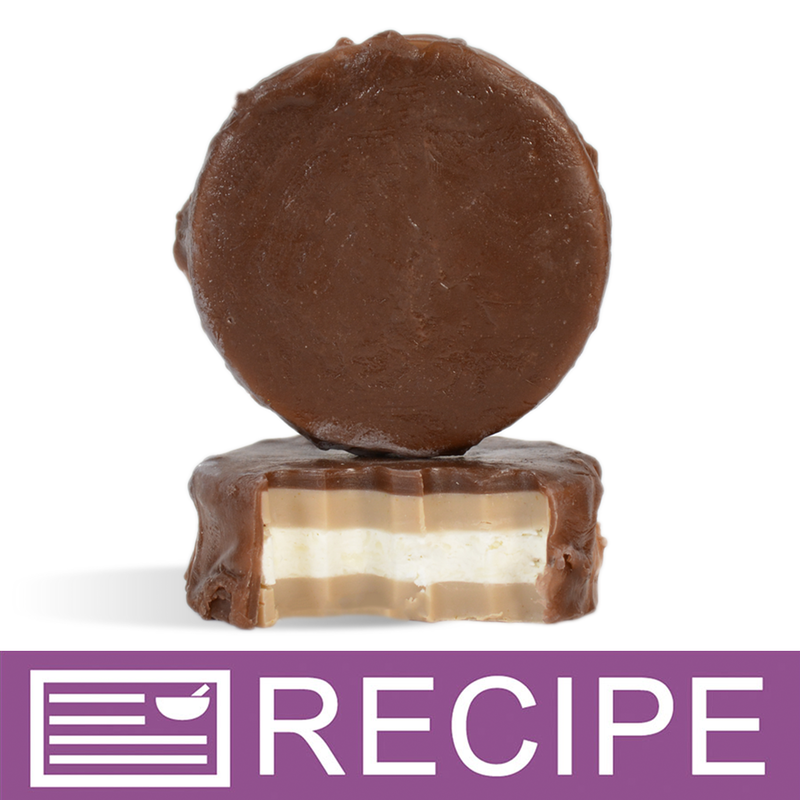 Put some in a dixie cup with the mica, stir well, add it to the soap base, and, perfection!it. COMMENTS: I bought a huge amount of this and it will probably last me forever! This color disperses perfect in oil...not as well in glycerin. Great brown color...I use it mixed with American red oxide for a nice chocolate brown. It came in a ziploc bag and I transferred it over to a jar for easier storage. Color does not fade in the sun and does not migrate. COMMENTS: This is great price for 2 oz jar, as a little really goes a long way. Next time I'll add a little less to my cp soap, want to try "milk chocolate" color instead of bitter chocolate. Will buy it again. COMMENTS: This does not morph or bleed in my soaps. I have not had any problems. I use this by itself and mixed with other colors.A little bit goes along way. COMMENTS: Nice Brown a little goes a long way! 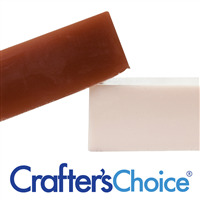 COMMENTS: Great for CP soaps - only need a very little to get a nice medium brown. I mixed with a little olive oil before adding to soap batter and incorporates very nicely. 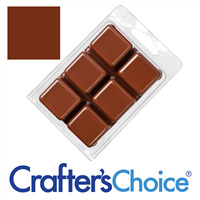 "Must Have For Chocolate Soaps"
COMMENTS: I have started using this brown oxide instead of cocoa powder. It colors my chocolate soaps perfectly every time. 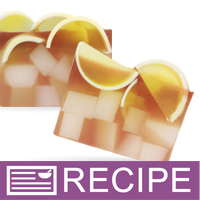 It stores well and is true to the color in the picture in both cold process and hot process soaps. 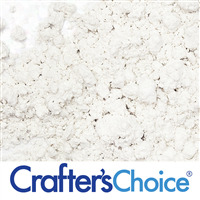 "Great powder for mp and cp soap! " COMMENTS: This brown oxide is wonderful. 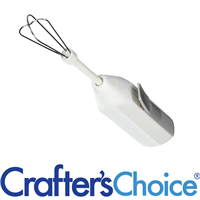 I love using it for both melt and pour & cold process soap making. It is a nice dark brown color --easy to lighten or darken as desired. I love that it mixes well in traced soap- no need to combine with oil or water before mixing. Great product! COMMENTS: This is a good color! I use it for my "pie crust" layer on my pie soaps. COMMENTS: Gives you beautiful color! 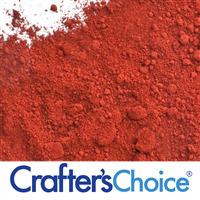 This pigment powder is easy to use, works great, and is a good price. I would recommend this product. COMMENTS: Works great in all different projects. COMMENTS: Can't live without this. With creativity and various amounts of product & technique, makes gorgeous soap. COMMENTS: Wow, I really wish there were more varieties of these pigment powders. This is another one that you don't need much to get a rich color and really not a lot of speckling either. COMMENTS: I had tried other products with other websites to get brown colored soaps. I finally broke down and decided to buy this one fearing I would be disappointed again, needless to say this is a winner and it can be caramel in color or chocolate and only takes a little..
"Can this product be used for lotion bars?" Staff Answer Yes, this is a color that mixes into oil products and will work in a lotion bar. "Is it possible to mix this with anything other than glycerine? Like maybe rubbing alcohol? I unfortunately didn't read the directions before buying it." Staff Answer You can also blend this with your fragrance oil before adding to the melted soap. "could this be used in a lotion?" Staff Answer The pigment powders will speckle in your lotion base. We would recommend using the liquid pigments for this type of product. "I have tried 1/2 tsp per pound of soap and my soap bubbles are brown. What has gone wrong? I have used the right amount of color." Staff Answer We do not specifically state how much pigment to add to soap. If your bubbles are brown then you need to cut back on the amount of pigment used. It is best to add a small amount at a time to see how much color can safely be added. "Hi, I was reading the report and I have a few questions that I would really like to clarify if possible. Is this oxide safe for the face? Also, is this oxide free of heavy metals (such as mercury and lead etc.)? Also, I was wondering if this product is micronized or a nano-particle? Thank you!!!! " Staff Answer This pigment is approved for general cosmetics, eye and lip. It is neither micronized nor nano-particle. It contains: Lead <10ppm, Arsenic <3ppm, Mercury <1ppm. "How would this be labeled as an ingredient in Cold Process soap as a natural colorant?" Staff Answer The ingredient listed is "iron oxides", so that is how it should be listed on your label. "I've been reading that a little goes a long way. Roughly how much is needed to color 2 lbs?" Staff Answer The pictures of our test bars show a concentration of 1/2 tsp. of colorant per 1lb of soap. Therefore if you wish to achieve the same depth of color for 2lbs of soap you would need to use 1 tsp. of colorant. "How do you use the Pigment Powders when making cold process soap?" Staff Answer Most people put a small amount of their oils into plastic beakers or disposable mixing cups. They then add the pigment to the oil and mix well (our mini mixer works great for this!). They then add the liquid pigment to their soap batch prior to fragrance. The exception to this rule is with our ultramarine colors (blue, green, purple). Those will need to be mixed with a very small amount of water before adding to the soap prior to fragrance. Also keep in mind that a little bit goes a long way. Using large amounts of the pigment powders can discolor washcloths (never permanently, in my experience). I was a little heavy handed with the Americana Red Oxide a couple of times - while it produced a lovely color, the lathered soap looked like blood, which can really freak someone out if they aren't expecting it! I mix it with a small amount of my melted oils, blend to ensure there isnt any lumps or bumps and start mixing in after trace. Add a bit at a time until you get the color you want, I start at half a teaspoon per pound. "would this work in bath bombs (not stain the bath)?" Staff Answer Yes it will work in bath bombs. Just be careful not to over color!